Home Events WMNF Pub Crawl! Posted March 29, 2019 by Laura Taylor & filed under . You can now buy tickets to the WMNF Pub Crawl! 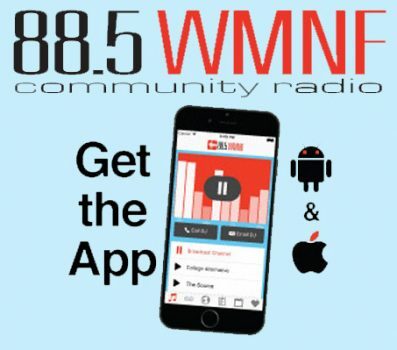 It’s going to be great day meeting up with your friends and fellow listeners from WMNF! We’ll start off 4pm at If I Brewed the World– 2200 1st Ave S, St. Petersburg, FL 33712 with Saturday Asylum host Scott Imrich DJing a live remote! We’ll walk over to catch Rebekah Pulley and Rob Pastore at 6:30pm doing their refreshing acoustic thing at Pinellas Ale Works– 1962 1st Ave S, St. Petersburg, FL 33712! Then, we’ll stroll right over to Cage Brewing– 2001 1st Ave S, St. Petersburg, FL 33712 around 9pm and dance the rest of the night away to the Lint Rollers. There will be lots of beer specials, a souvenir beer mug and more fun all for $20! Cheers to you for being a rocking listener!